Intel has launched its Ivy Bridge processors and would start selling on 29th April. 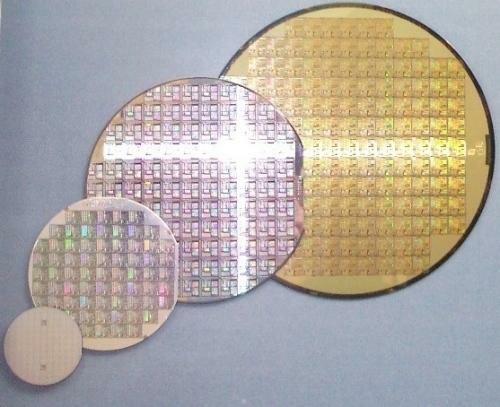 According to DigiTimes, initial shipments of 22nm processors are suffering major shortages which is possibly due to low capacity or poor yields. Not only Intel but NVIDIA and AMD who recently launched their 28nm graphic cards are under pressure due to shortages from TSMC. Although there’s still some time left when Ivy Bridge officially hits the market which however due to limited supply, Intel won’t be able to satisfy a large number of PC users. By May-June, Intel plans to launch 13 new processors for the desktop alone ranging from Core i7, Core i5 and Core i3 in late Q2 2012. For notebooks only three processors would be available Core i7-3920XM, Core i7-3820QM and Core i7-3720QM all with 55W TDP with prices of US$1,096, US$568 and US$378 and for its Ultrabook segment, Core i7-2677M, Core i7-2637M and Core i5-2557M would be launched in late May priced at US$317, US$289 and US$250. While CPU giant Intel faces its own shortage, NVIDIA and AMD are now going through a similar scenario. Taiwan Semiconductor Manufacturing Company is having serious yields issue which is affecting the AMD and NVIDIA’s 28nm GPU supply. Although AMD got a head start by launching its 28nm HD 7000 Series in the first quarter, however the actual amount of shipments sent out to global retailers were sparse. NVIDIA is facing similar issues with own 28nm Kepler based GTX 680 which is suffering major shortages although NVIDIA is attracting a large sum of consumers with its $499 price range and competitive performance. Still, amidst the TSMC’s yields, NVIDIA plans to launch two new kepler based GPU’s – GeForce GTX 690 and GTX 670 by May plus several other low end SKU’s indicating that the issue may be resolved by the end of Q2.